ETH Zurich has an opening PhD position in molecular biology. Applications should be sumbmitted as soon as possible. The Laboratory of Plant Biochemistry studies the pathways of carbohydrate metabolism and the molecular mechanisms that plants use to control them. Our research focuses on starch biosynthesis – an important and active field since starch is the key storage carbohydrate of plants and forms the basis of human and animal nutrition. Having recently identified a suite of novel proteins involved in localizing and coordinating the enzymes of starch biosynthesis, we are initiating new research projects to investigate further the cell biology of this vital process. This research will require a combination of complementary tools: molecular genetics in the model plant Arabidopsis thaliana, advanced microscopic methods, and in-vitro/in-vivo biochemistry. Applicants should hold a Master’s degree or equivalent, with a strong background in biology and an interest in plant sciences. An advanced knowledge of molecular biology, genetics and biochemistry is essential, together with a strong motivation to learn and develop new techniques and methods. Experience in microscopy, bioinformatics and quantitative data analysis would be advantageous. The successful candidates will be embedded within an interactive institute located in the city-center Campus of ETH Zurich, a world-leading institution in basic and applied research. We provide access to state-of-the-art facilities for microscopy (ScopeM, hold a Master’s degree or equivalent, with a strong background in biology and an interest in plant sciences. An advanced knowledge of molecular biology, genetics and biochemistry is essential, together with a strong motivation to learn and develop new techniques and methods. Experience in microscopy, bioinformatics and quantitative data analysis would be advantageous. 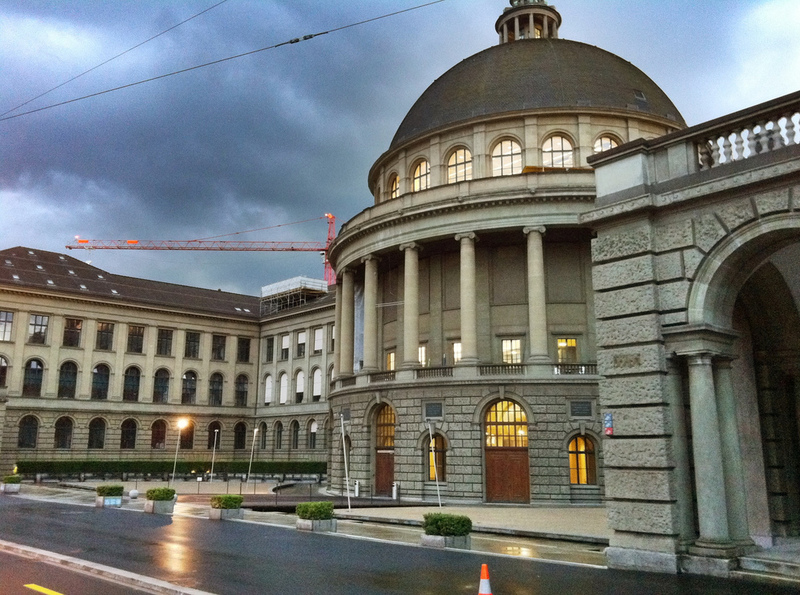 The successful candidates will be embedded within an interactive institute located in the city-center Campus of ETH Zurich, a world-leading institution in basic and applied research. We provide access to state-of-the-art facilities for microscopy (ScopeM, www.scopem.ethz.ch ), proteomics and nucleotide sequence analysis (FGCZ, www.fgcz.ch ; GDC, www.gdc.ethz.ch ), in-house metabolomics, and plant growth. The candidates should be excited about science and be motivated to learn and perform research of the highest quality. They should be highly organized and capable of working both independently and within the team. PhD students at ETH Zurich contribute a modest fraction of their time to undergraduate teaching, principally through assisting in practical courses and co-supervising masters projects. Candidates should have good interpersonal and communication skills. Fluency in English is essential (both spoken and written). Fluency in German is advantageous. We provide complementary skills training to PhD students via the Life Science Zurich Graduate School ( www.lifescience-graduateschool.uzh.ch ).